Ships tomorrow if you order in the next 24 hours 11 minutes. 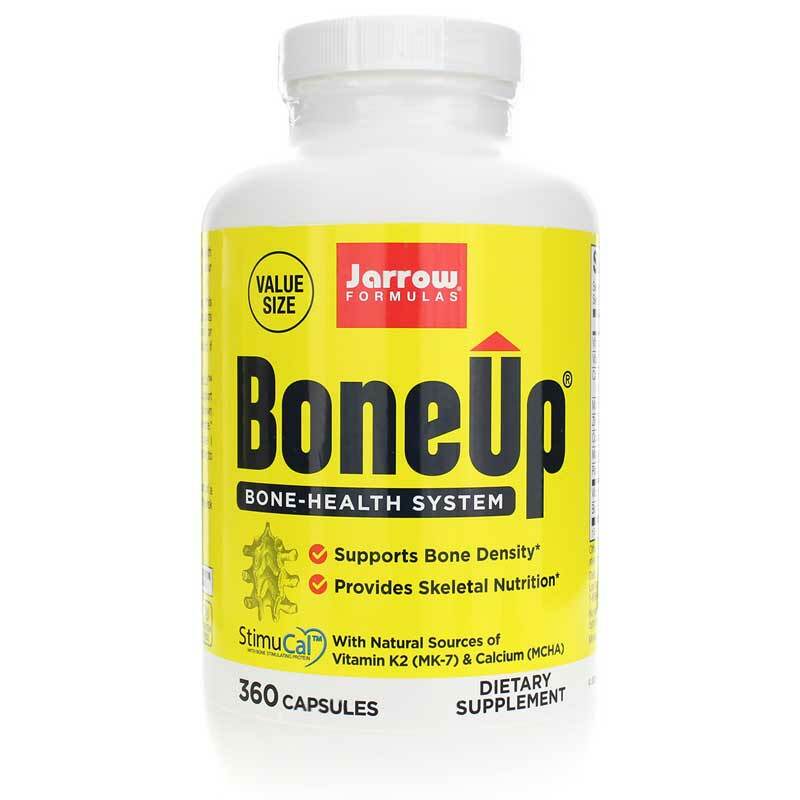 Stock up on Bone-Up with this value-sized version of an award-winning bone health supplement from Jarrow Formulas. You can find all sorts of calcium supplements, but only hydroxyapatite - as found in Bone-UP - provides a source of calcium closely resembling that found in human bone. Healthy bones are important at all stages of life. Calcium is needed for growing teens and aging adults alike. Sufficient calcium intake may be linked to a reduced risk of osteoporosis by slowing bone loss. Keep in mind that it is believed calcium intake greater than 2000mg per day is unlikely to provide additional benefits. Bone-Up has been recognized by leaders in the field of natural health. It won a Best of Supplements Award from Better Nutrition Magazine. If your diet is lacking in calcium, Bone-Up is a complete nutritional regimen for bone health. Order this extra-large size and get 360 capsules in one bottle at an exceptionally low price. Other Ingredients: maltodextrin, magnesium stearate (vegetable source) and silicon dioxide. Mineral amounts are elemental. Capsule consists of gelatin. Contains NO: wheat, gluten, dairy, egg, fish, shellfish, peanuts, tree nuts. Adults: Take 2 capsules three times per day with meals, (for a total of 6) to facilitate maximum absorption or as directed by your qualified healthcare consultant. 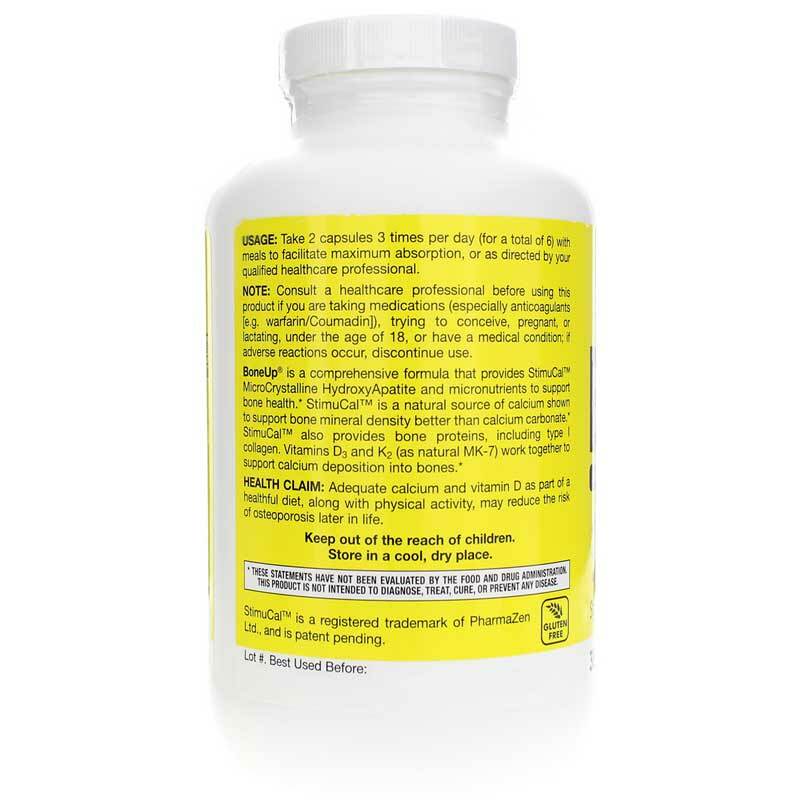 If you have a medical condition, are pregnant, lactating, trying to conceive, or taking medications (especially warfarin/Coumadin), consult your healthcare practitioner before using this product. Keep out of the reach of children. My mail orders are delivered so quickly every time! This is especially great since I sometimes forget to order until I'm almost out! I really love this supplement and am excited about the Vit K2 and now the MK-7 addition. This is a formula that will help keep bones strong. Jarrow products have always been the ones I rely on. I feel confident that they put in the bottle what should be there. Great product & great value. I am so grateful to find a calcium formula that really helps to support bone health like Bone-Up. My wife likes Bone Up Value Size. I was referred to Bone-Up by a nutritionist and have been using it for years now. I have been taking bone-up for a long time. It is an excellent product. And, recently starting ordering from Natural Healthy Concepts in a larger form and the company is also great. I've been happy with your company and the product. Easy to use website. Quick delivery. my doctor recommended this to me years ago. Still using it. Natural Healthy Concepts is a great place to get it. Super fast service. Great prices. 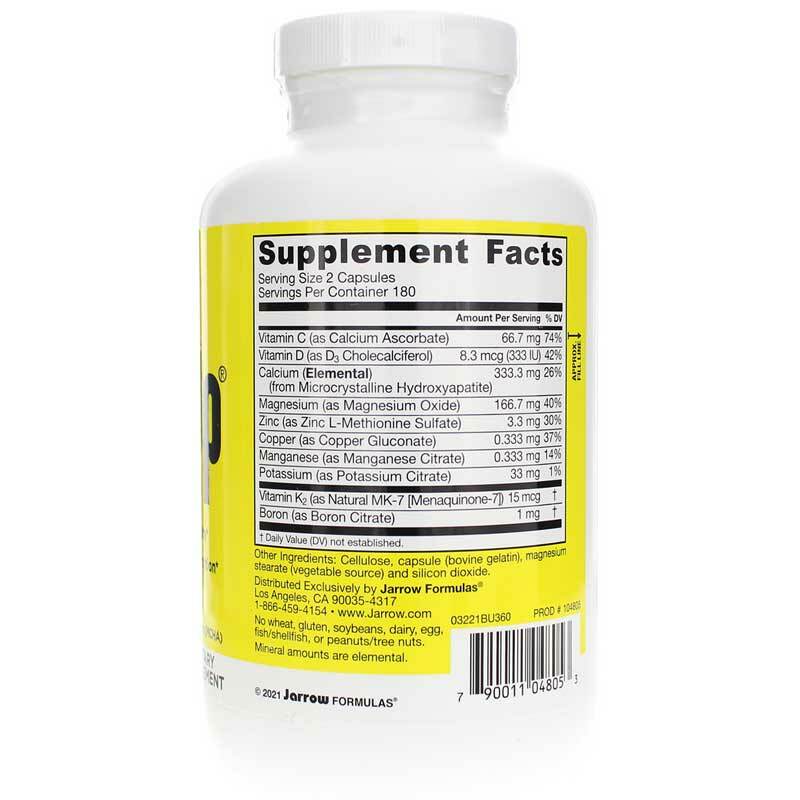 I don't know whether it's the type of calcium in this supplement or the formula but along with walking and additional Vit D3, I've been taking it for years with good results. Regular calcium products can upset my stomach. This one does not. Bone Up Value Size is a good product I have taken for several years. I like Jarrows sources for the ingredients. Lots of good 'stuff' added to boost the over all performance of the calcium. I have been using Bone Up for 6 years. item arrived very quickly! thank you! The products I receive from Natural Healthy Concepts are always fresh and delivered quickly. I have had no problems with this company at all. This product was recommended to me. When I told my doctor what I was taking, she said it was a really good product. I wish more doctors would recommend things! Anyway, I have ordered from this company before and will do so again. Great bargain when you are buying a lot! I've been using Bone Up for severals years and attribute some of my good bone strength to it. This site has the best price anywhere for the value size bottle. My husband takes 3 capsules per day as his Dr recommended. This product was recommended by my nutritionist and chiropractor for bone heath. I take six-a-day for insurance. And Natural Healthy Concepts can always be counted on for prompt delivery!